Selectron is a game of swiftness and concentration, however the game is designed in such a way that it requires really little time and can be played even in very short breaks. The game is played in short levels each having their own objective. Levels are divided into several rounds where you have to select tiles (or not) according to the levels objective and that as quickly as you can. 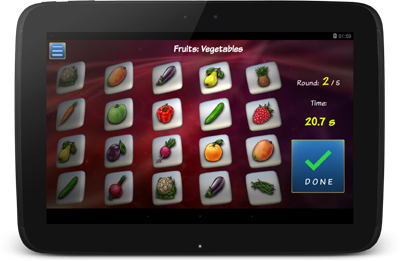 Selectron is available on theGoogle Play store™. The free version will display ads on top of the screen. The free version does not support the landscape mode of mobile devices. 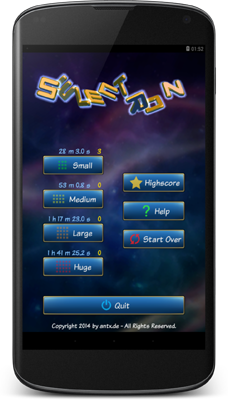 The free version has only 2 play modes (Small and Medium). The play modes Large and Huge are not available. 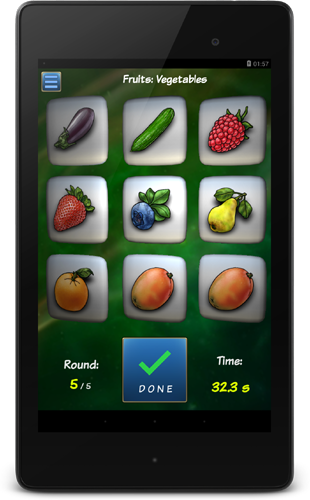 Selectron Free is also available on the Google Play store™. Copyright 2014 by antx.de - All Rights reserved.